Share this page with friends. We love referrals. Don’t have the money to hire a website developer? You’re not alone. If you don’t have much (or any) money to spend paying someone to build your website, you’ll probably have to look at doing the work yourself. We’ll have the perfect plan for you. This WordPress hosting plan includes “everything” you need to develop a “first-rate” online store. The only thing it doesn’t include is the development itself – that’s left up to you. It’s simply the best WordPress/WooCommerce “do it yourself” plan on the planet. WordPress, long known to be the No. 1 content management system (CMS) in use online, has reached a new milestone: It now powers nearly 35% of all sites across the web. And WooCommerce powers nearly 30% of all online stores. It’s a “powerful” combination. Start selling online with the Weed Hosts’ WordPress Plus… Everything Plan for as little as $16.00*/mo. when paid annually using the promo code – weed. Our servers use Solid State Drives (SSD) which increases your website downloading time by 40-50%. Enjoy the benefits of hosting on some of the fastest servers in the web hosting industry. With our WordPress Hosting, you get dedicated resources with Linux OS and CageFS – all vital for Ecommerce websites. You’ll sleep easy knowing your customers can use your site 24/7 with no trouble. Our WordPress Pro Hosting includes a FREE SSL Certificate. A certificate protects transactions and customer data and will boost response and customer confidence. NOTICE TO SPAMMERS: All new accounts are subject to email restrictions. Outgoing email is throttled to a maximum of 300 emails per hour. If it’s your intent to sign up to send spam, you’re wasting your time (and money). We recommend taking your business elsewhere. ENTER THE PROMOTION CODE – WEED – WHEN YOU SIGN UP TO RECEIVE A ONE-TIME 25% DISCOUNT! 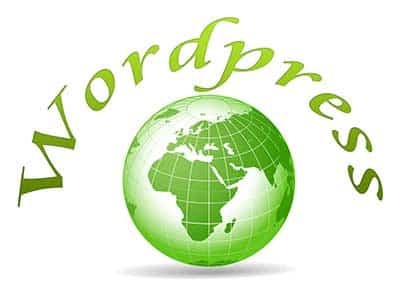 * 1st year WordPress Plus… Everything pricing when paid annually using the promotion code – weed. ** For as long as you remain a customer. *** If you cancel your hosting services before 1 year, you may purchase the domain for $12.95. After 1 year, it’s yours.